1 - Quality is our number one priority: we provide the UK's genuinely best proofreading services & editing and paraphrasing services. Unlike other providers, we truly believe in something called QUALITY, so we pay attention to every single word and sentence you have written in your paper. 2 - Top-notch proofreaders & editors: we have a team of outstanding native English proofreaders, editors, reviewers and rewriters who have decades of experience. 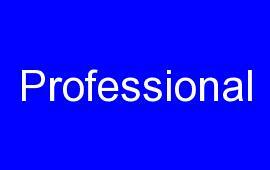 With a keen eye for detail, they are the best in the UK at what they do. 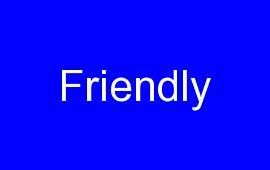 We use only human copy-editors and proofreaders; we never use any online word processors or robot editors. 3 - Value for money: all our proofreading and editing services as well as paraphrasing services are reasonably and affordably priced, especially as a significant part of our clients are Master's and PhD students with limited budgets. 4 - Fast turnaround: our services are completed and delivered to customers within fast turnaround times, without any impact on quality. We are aware that students in particular can sometimes have a very short deadline to submit their papers and therefore need their documents proofread and edited urgently. 5 -Trust & reputation: we are a reliable and trusted proofreading and copy-editing service provider, with a wide network of clients spread across the world: the UK, the US, Australia, Canada, Japan, China, Romania, Saudi Arabia, the Netherlands, Thailand, Sweden, Germany, Switzerland, Oman and Kuwait. 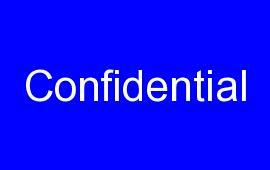 9- Confidentiality: we highly respect our clients' confidentiality concerns. So, we provide a very confidential service where we remove all documents delivered to clients completely from our systems. 1) Prices: Our prices are very competitive, affordable and - above all- "fixed". This means our rates do not vary as we charge a flat rate, whether your document is complex or non-complex; technical or non-technical; short or long. Our prices start from as low as £9.50 per 1,000 words, making it extremely affordable even to those on an extremely tight budget. We also offer a 10% discount to all first-time clients, as a bonus. 3) Quality assurance: Once your document has been proofread or edited thoroughly and meticulously, it then goes through a more rigorous level and process of quality assurance involving a comprehensive second review by another senior editor, before delivery. The Ultimate Proofreader is committed to delivering the best quality English proofreading services to clients in the UK & worldwide. Our unparalleled and genuine focus on quality has put us at the forefront of the industry. 4) Availability: We run a dispersed operation in the UK & across the world, so we are available 24 hours, 7 days a week throughout the year, including public holidays. For students and academics, our services can also be pre-booked at any time of the year or during peak times of essay and dissertation submission by undergraduates and postgraduates. 5) Confidentiality: The Ultimate Proofreader applies a very strict confidentiality policy in order to ensure our clients' manuscripts remain 100% safe and secure, from the moment an order is placed until it is delivered. Once we have returned your document, we will remove it from all our systems altogether.